Postcrossing is an online community of people committed to sending and receiving postcards from around the world. Help CAM/MAC to start a collection and be a part of the community. Request an address and send a postcard. Tell your story. Say whatever you like! Take a picture of the front and/or back and email it to us, send by Twitter, Instagram, or Facebook. The more postcards sent on our behalf, the more CAM/MAC receives in return. When we receive postcards, we will upload it to the website and you can visit our office to see them in person. Click on "SEND A POSTCARD"
Read the instructions. Click "Request address." You will not receive an email of the address, so it is important you copy the address immediately. 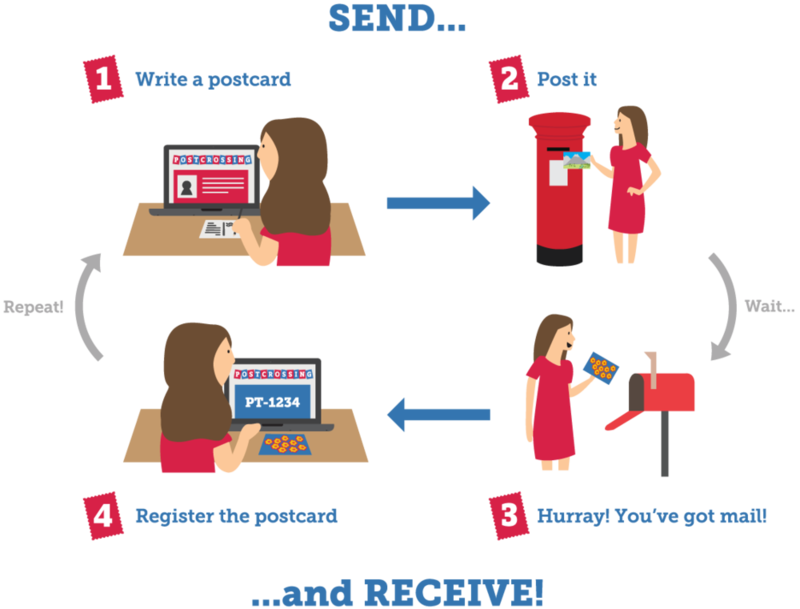 Should you happen to lose it before sending your postcard, email us and we can locate it for you. *Note, it is very important you write the Postcard ID on your postcard, so that the recipient can register it, and we can receive more postcards. CAM/MAC will register postcards received. We can't wait to show them to you! There is a slight cost on your part for the postcard and the stamp. The cost of international stamps is $2.50, to the United States is $1.20, and a single stamp for within Canada is $1.00. Should you need a postcard, we have a selection of postcards you can choose from in FSS 10035. Send us a message to make sure someone will be at the office. What will CAM/MAC do with the postcards? For now we're going to display them in our office and on our website. If we get enough by March 2018, we may send a reflection to #Colleex, a network for experimental ethnography. We encourage you to do so as well. We would love to hear about it if you do!